The Branden Press still exists (www.brandenbooks.com). 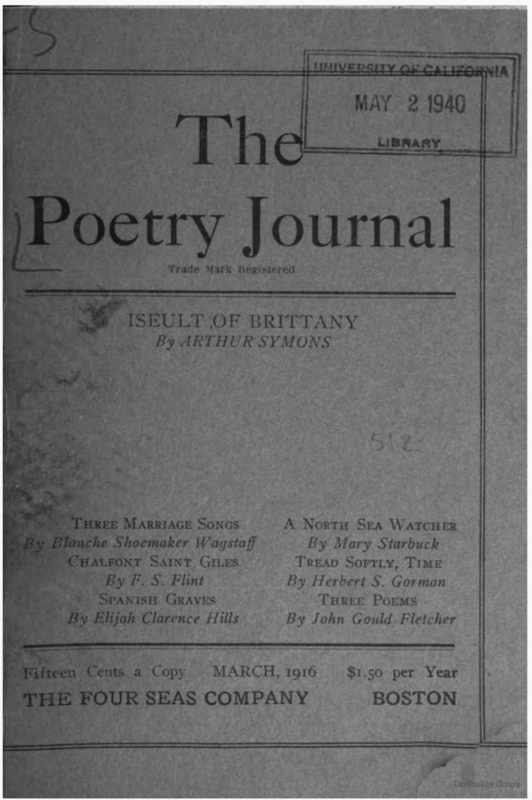 The series was advertised in the March 1916 issue of The Poetry Journal (itself published by the Four Seas Co.). 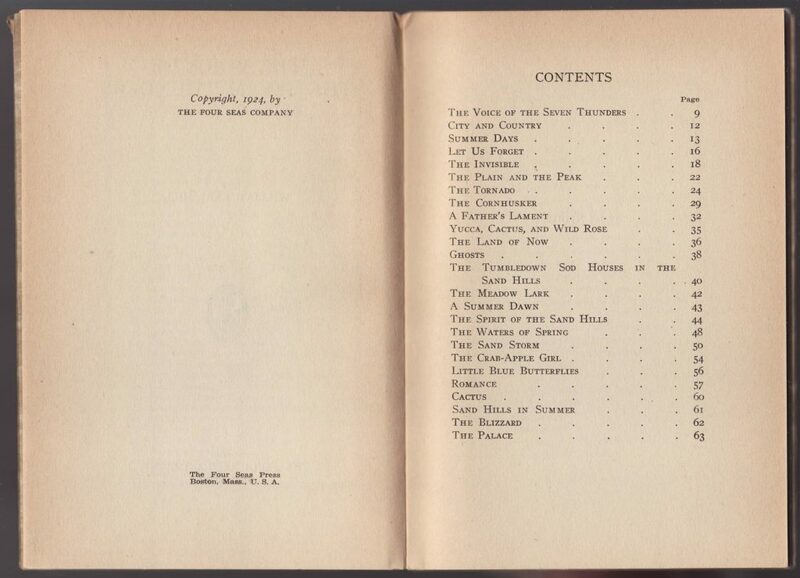 The initial six titles are listed along with the price of .60 cents per volume. 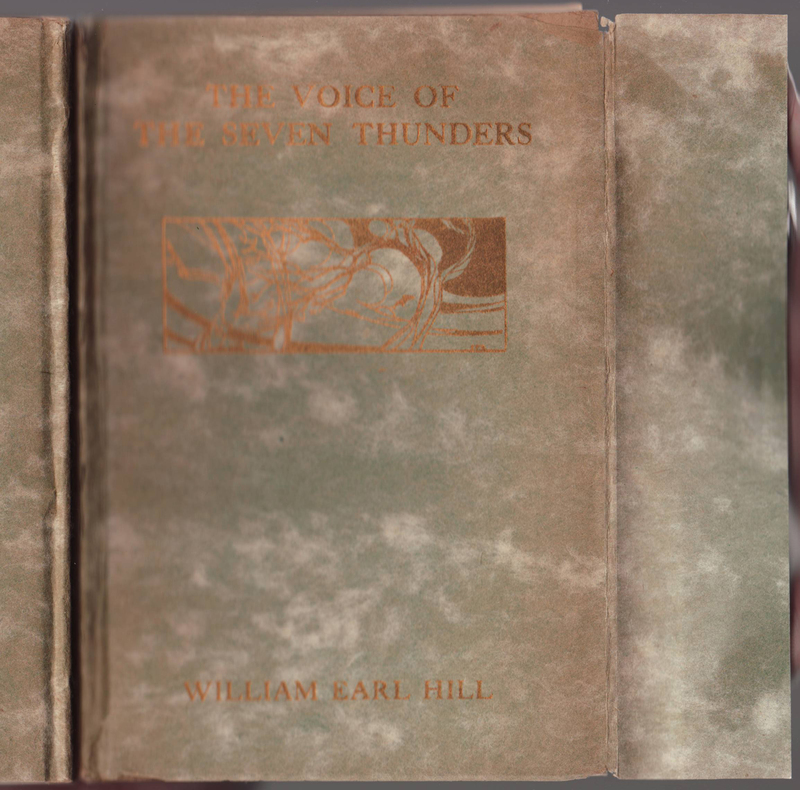 William Earl Hill’s The Voice of Seven Thunders is a book of poems published in the series in 1924. 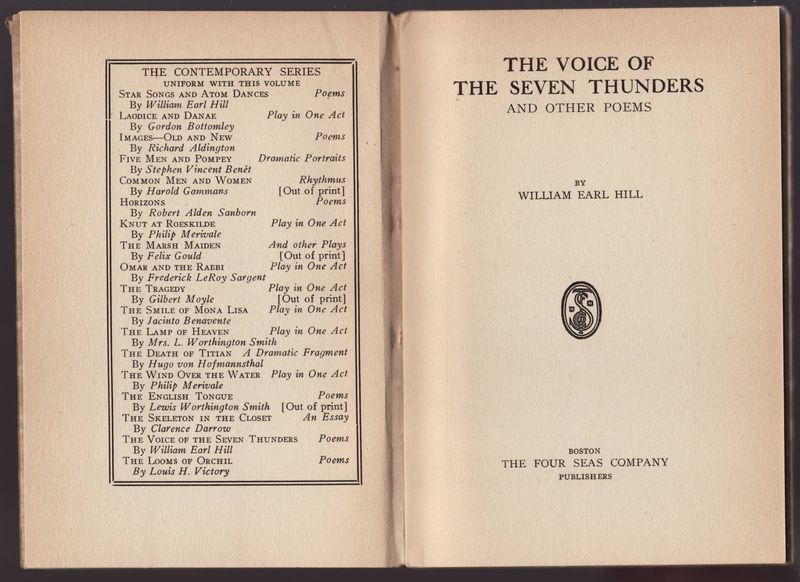 Hill was a minor U.S. poet from Nebraska who incorporated natural and scientific themes in his work. Books in the series were bound in cardboard boards with a jacket-like covering glued at the spine, with another, plainer jacket over the entire production. 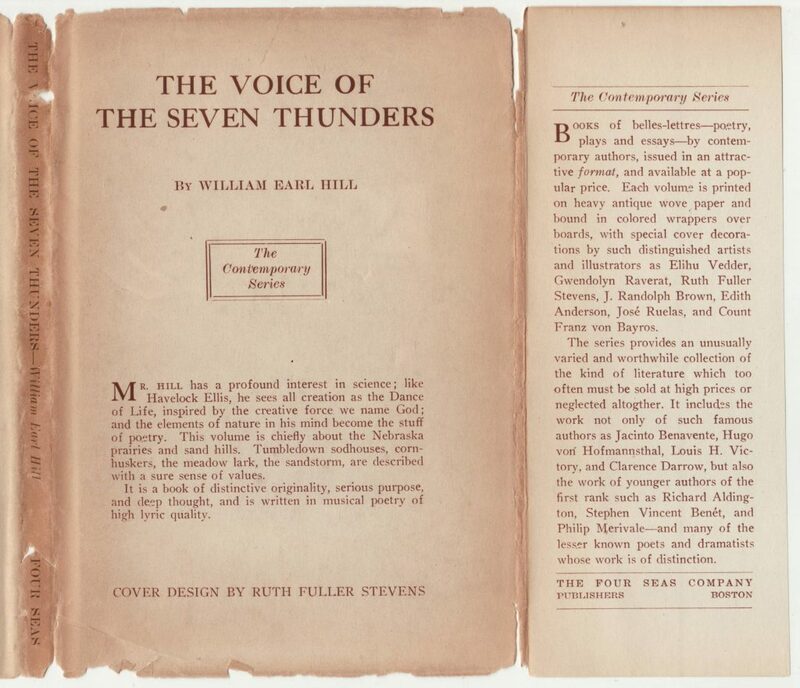 The outer jacket is common to the series, varying only in the author, title and description of the book, included on the front of the jacket. 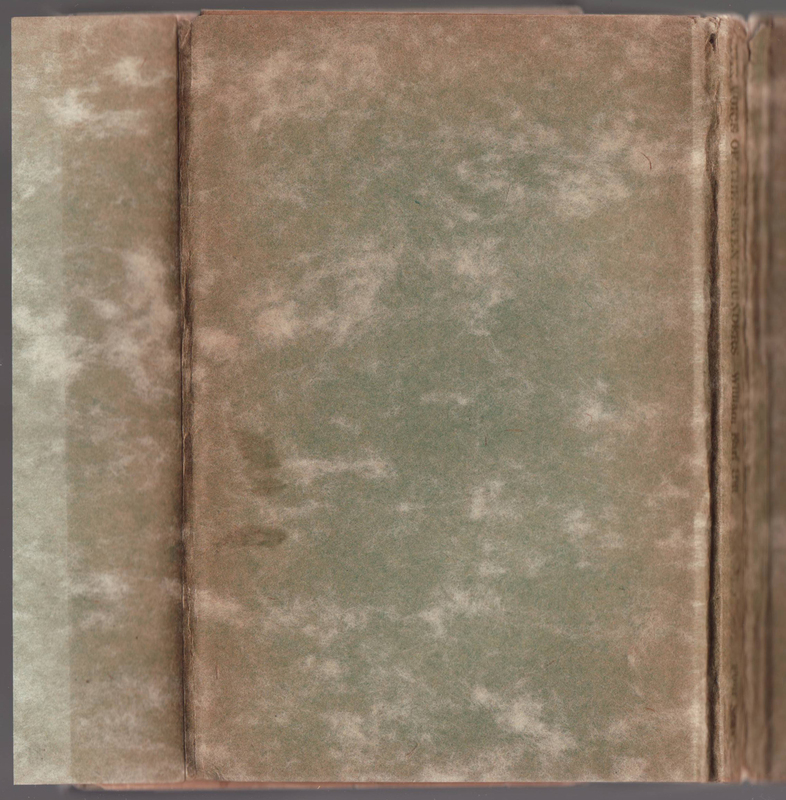 The spine includes the publisher, and the series name is centered on the front of the jacket. The series is described on the front jacket flap. 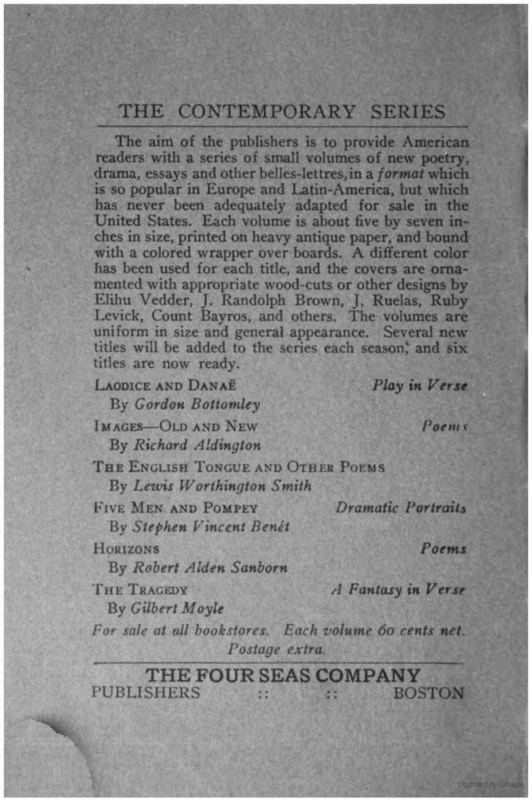 The designer of the inner jacket cover is also noted (Ruth Fuller Stevens). 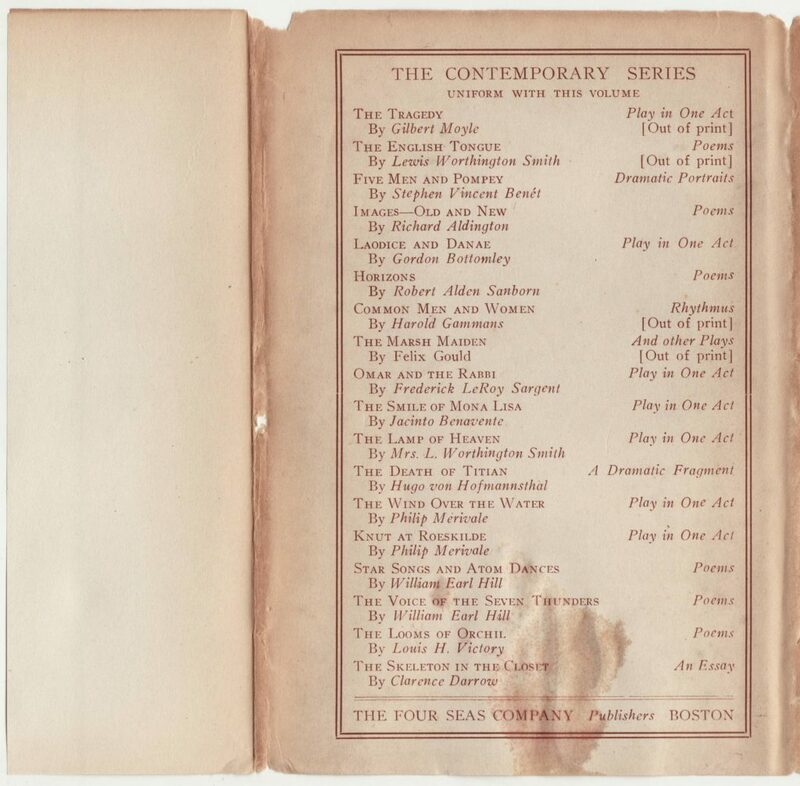 A list of titles in the Contemporary Series fills the rear of the jacket. I dripped some ice water on the jacket (it was a hot day) and did not notice, thus the damp spot on the scan below. The list is interesting in that it indicates books that are no longer in print. Under the outer dust jacket is another jacket, glued to the spine of the book and covering the cardboard covers. 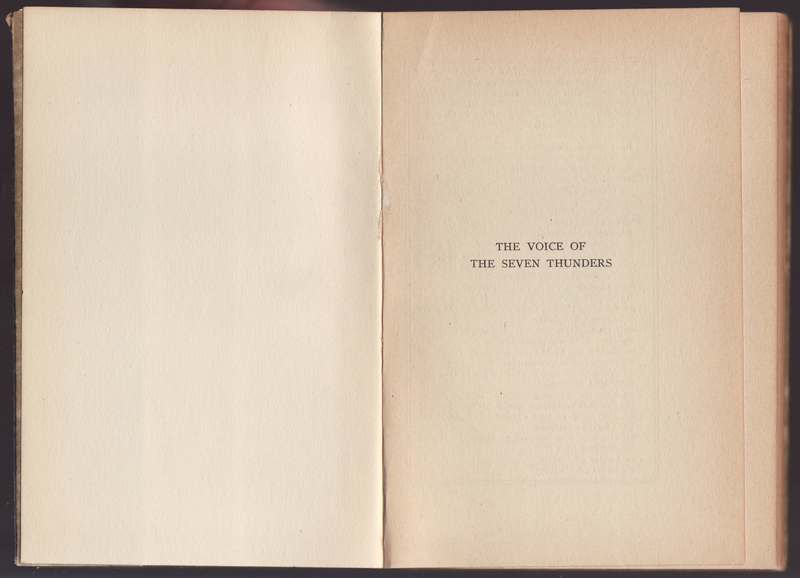 The inner jacket was designed by Ruth Fuller Stevens, according to the outer jacket. These inner jackets were unique to each title. They also have a printed spine (author, title, publisher). The entire jacket is printed in gold ink on a semi-translucent paper. The jacket flaps are blank. The rear of the inner jacket and back flap are blank. A catalog arranged differently but with the same titles as the list on the back of the outer jacket, faces the title page. The copyright for the book is its initial printing year, 1924. 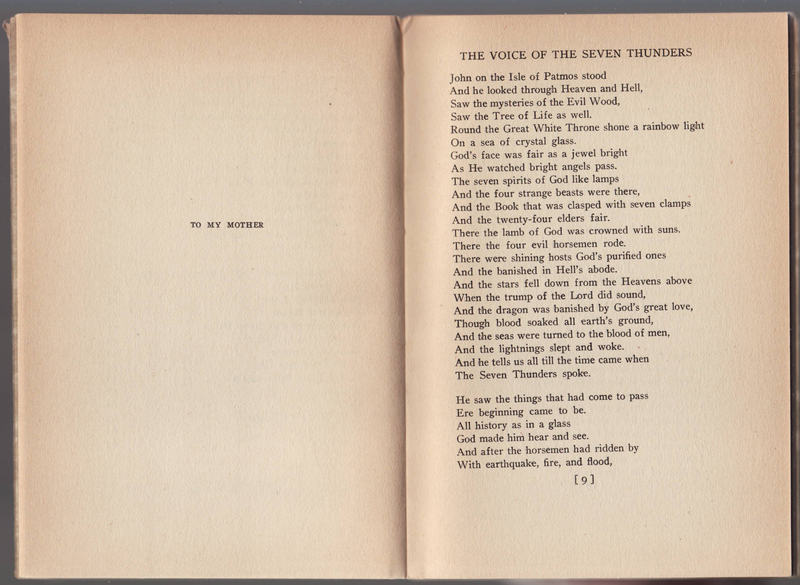 The publisher’s imprint is included at the bottom of the page.